Hundreds of students have been bicycling to school for 2012 Bike To School Challenge (BTSC) this month for a chance to win a new Raleigh bicycle and other grand prizes. Now parents, teachers and EVERYONE has a chance to win a bike from BTSC sponsor Raleigh Bicycles in an online video contest that runs now through the conclusion of BTSC on May 25. 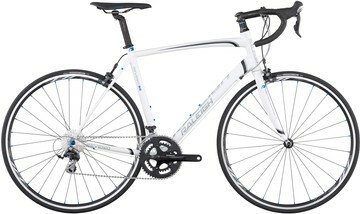 To enter, go to Raleigh’s website, www.myreasonstoride.com, and submit a video about why you ride a bike or what riding a bicycle means to you. Tag your submission with “CenturyBTS.” The most compelling video will win a Raleigh Revenio 3.0 men’s road bike or a Raleigh Capri 3.0 women’s road bike (retail: $1,299.99), awarded by Raleigh Bicycles in early June when the video will also be highlighted on Raleigh’s website. The videos don’t have to be professional (cell phone videos are fine) or lengthy. Students participating in the Bike To School Challenge program are also encouraged and invited to submit videos. Videos must be submitted by May 25, 2012, the last day of Bike To School Challenge. Reasons To Ride is Raleigh Bicycles’ initiative to create an interactive quilt designed to bring together a community of people and their stories – what motivates or inspires or compels or brings joy when riding a bike. As a major Bike To School Challenge sponsor, Raleigh Bicycles is also donating two Raleigh bicycle grand prizes per school, a $500 award for each BTSC school that exceeds its bicycling goals, two $1,000 scholarships for Bay High School seniors, and daily prizes such as buttons and stickers.